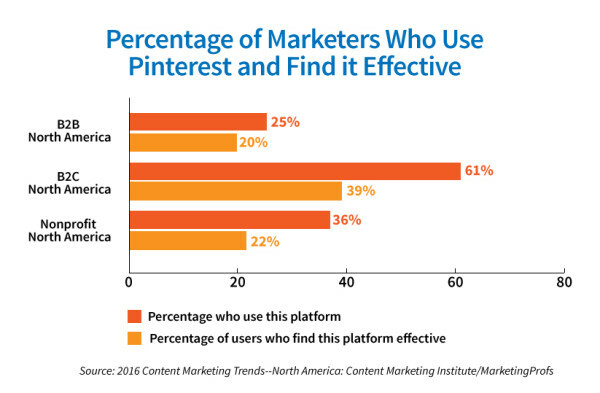 However, according to our annual research, B2C marketers are more likely than B2B and nonprofit marketers to use Pinterest, but the majority of users in all groups don’t consider the platform to be effective. 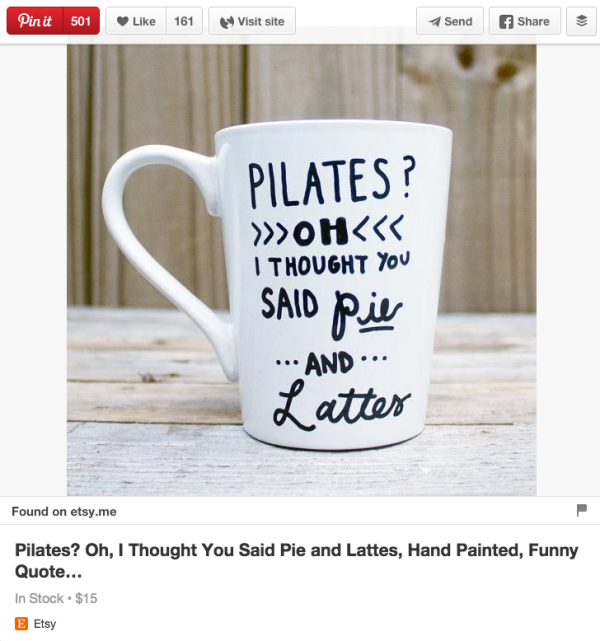 Compared to customers who are referred to a product by Facebook, customers who reach a product via Pinterest are 10% more likely to purchase that product, according to Wayfair. Additionally, according to Digital Buzz Blog, 25% of Fortune 100 companies maintain Pinterest accounts, showing that the platform is truly one of the best places to promote your business. These foundational tips can help you get started optimizing your Pinterest profile to get better visibility and engagement for your brand. Set up a Pinterest Business account. Make the account as easy as possible for your fans to find. Ensure that your business name is self-explanatory and easy to spell. The ideal length of a username is 3-15 characters. You should also take the time to verify your site and include links to other social media accounts for increased crossover and visibility. To increase crossover between your website and your Pinterest account, add a Pin It button to the content on your website. 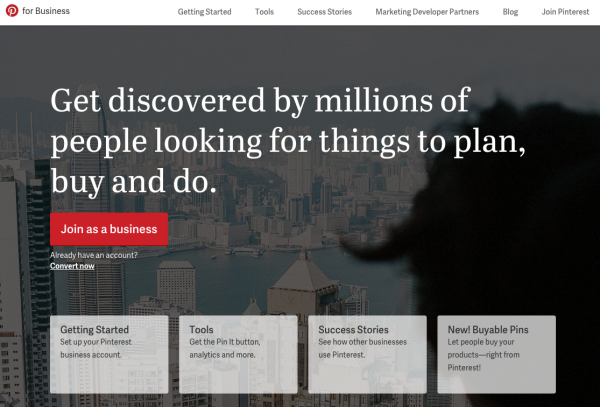 This allows people to connect with and share your content on Pinterest. Since the average pin is searchable months after it has been posted, you can bet that by pinning your content, your users can help you increase its life span significantly. According to Sprout Social, user-generated content is 35% more memorable and 50% more trustworthy than other types of media creation, which means user-generated content should play an important role in your Pinterest strategy. To make the most of user-generated content, create a collaborative board that allows your followers to post photos of how they interact with your product, good, or service. 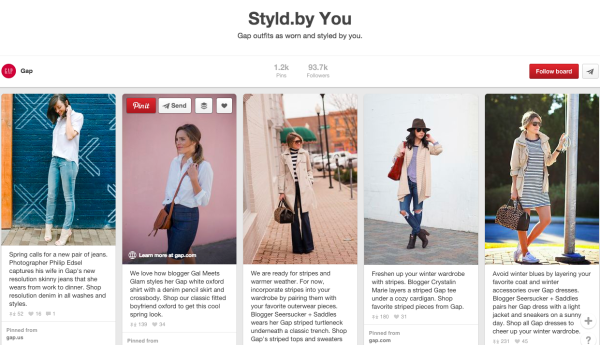 Take Gap, again, which has a board called Styld.by You that allows fashion bloggers and other clothing aficionados to show off how they wear Gap clothing, or Starbucks, which has a board dedicated to its user-generated white-cup art. Encouraging collaboration is a great way to get your users to engage with your brand and the collaborative, user-generated content boards are sure to be a hit. If you’re a tech company, there’s a good chance that boards dedicated to pie recipes are going to confuse your fans and not get much traffic. It’s wise to avoid getting tangled in the casual environment of Pinterest and to keep your boards dedicated to the industry within which your business operates. 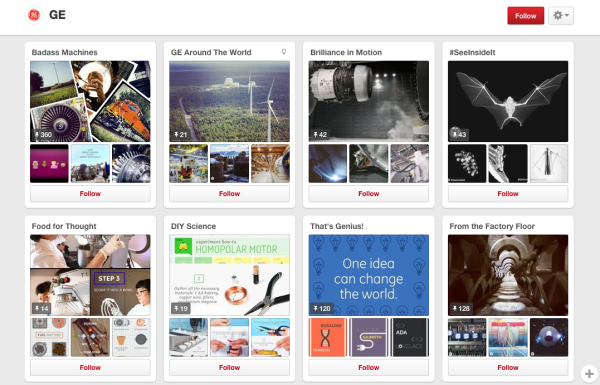 Take GE, for example, whose Pinterest boards offer users an inside look at complex machines as well as hilarious tech, electricity, and software-related “Hey Girl” memes, and images of the work GE has done around the world. These boards serve two important purposes: They are on-brand for GE itself, and they promote interest from a wide variety of users. To glean the same results for your business, keep your boards focused and seek to fill each with quality, useful, and interesting content. To get started using rich pins, you first need to decide which type or types fit your brand best. Once you’ve done that, you’ll need to prepare your site by including the correct metatags. Then, the only thing left to do is to apply to get the rich pins on Pinterest. For more information on how to apply for and use rich pins, check out this tutorial. Once they’re installed on your site, rich pins can be a fantastic tool for providing a direct link between your customers and your product. Since 25% of consumers purchase a product after seeing it on Pinterest, according to Compete research, rich pins have the potential to increase your bottom line and drive more sales. 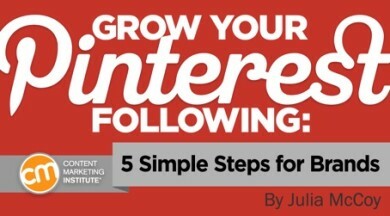 As it stands now, Pinterest has virtually unlimited engagement potential and businesses that take these five simple tips to heart will see their Pinterest following and engagement grow exponentially. Whether you’re a tech brand or an e-commerce company, it’s undeniable that Pinterest can help you connect with your customers, make more sales, get people excited about your business, and spread the word about your services around the web. Now that’s something worth pinning about. 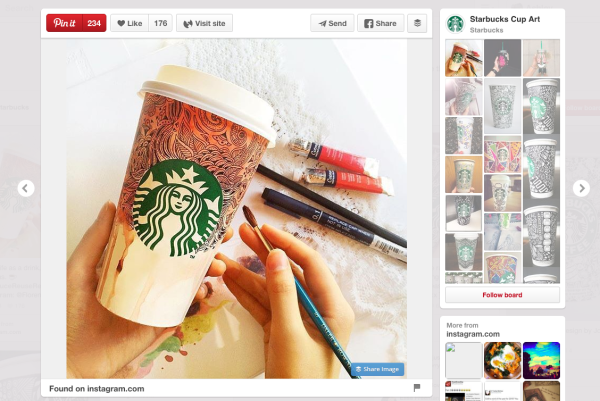 Find more tips for using Pinterest and other platforms to increase the impact of your content. Read our Content Marketer’s Guide to Social Media Survival: 50+ Tips. Julia McCoy is a top 30 content marketer and has been named an industry thought leader by several publications. She enjoys making the gray areas of content marketing clear with practical training, teaching, and systems. Her career in content marketing was completely self-taught. In 2011, she dropped out of college to follow her passion in writing, and since then grew her content agency, Express Writers, to thousands of worldwide clients from scratch. Julia is the author of two bestselling books on content marketing and copywriting, and is the host of The Write Podcast. Julia writes as a columnist on leading publications and certifies content strategists in her training course, The Content Strategy & Marketing Course. Julia lives in Austin, Texas with her daughter, husband, and one fur baby. Follow her on Twitter @JuliaEMcCoy.